As Keith Smith talked about his wife, Jacquelyn Smith, he rattled off a list of characteristics he fell in love with: She was a career woman, a good mother, a church-goer and, most of all, a giving person. Her kindness, he said, is what cost her her life. Now Baltimore police are hunting for an apparent team of panhandlers who preyed on her good nature and stabbed her to death for a few dollars. "She was trying to help someone out," Keith Smith told ABC News. "I think the reality is, we forget about the times that we're living in. You may have the best intentions on helping this person, but when you let a person get into your safe zone, you're actually opening yourself up to whatever this person has intended for you." About 12:30 a.m. on Saturday, Smith was driving his wife and daughter, Shavon Smith, home after they had been out celebrating Shavon's 28th birthday. At a stop sign in the Johnston Square neighborhood of East Baltimore, Jacquelyn Smith, 54, spotted a woman standing on the side of the road, carrying what looked like a baby wrapped in a blanket and holding a cardboard sign, reading, "Help me feed my baby, God bless." 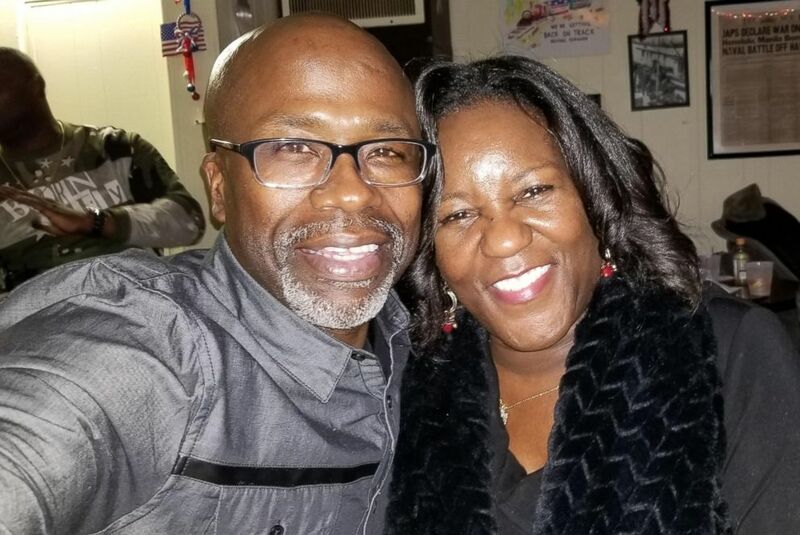 Keith Smith of poses with his wife, Jacquelyn Smith, who was stabbed to death by a panhandler in Baltimore on Dec. 1, 2018. She asked her husband to pull over and she rolled down the window and handed the woman $10, Keith Smith told ABC News. Keith Smith said he noticed a man standing next to the panhandling woman. But it never crossed his mind that he and his wife were being set up. He said the female panhandler reached into the car, grabbed his wife's purse and scurried off into the darkness. With his wife bleeding profusely from a stab wound to her chest, Smith sped to Johns Hopkins Hospital, where Jacquelyn was pronounced dead. "For most people, the last thing you're going to think about is that this person is about to take your life for a few dollars," Keith Smith said. "They're using this ruse as panhandlers to get the attention of their would-be victims," Tuggle said. "We also want to caution the public about engaging with panhandlers in recognizing the fact not all of them have honest intent. Not all of them are in real need." Keith Smith said he and his wife were married for nearly five years. Together they have six children and three grandchildren. Jacquelyn Smith worked as an electrical engineer at the Aberdeen Proving Ground, an Army facility in Aberdeen, Maryland, her husband said. 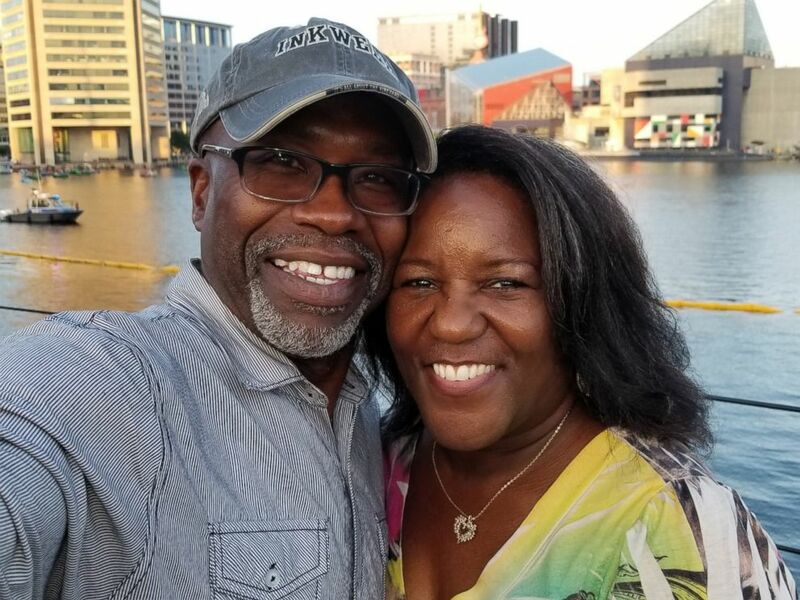 He said he and his wife are members of the Helping Hands Ministries Church in the Baltimore suburb of Churchville, where Jacquelyn's memorial service is scheduled for 6 p.m. on Friday. "I don't want to beat myself up, but I feel somewhat responsible for letting that person get that close to my wife," Keith Smith said, his voice choking with emotion. "It's just a lot right now going through my mind. That's why it's hard for me to sleep because now I'm trying to see how I could have did things differently, how I could have took another street. I'm just thinking of all kind of ways that my wife would still be here." 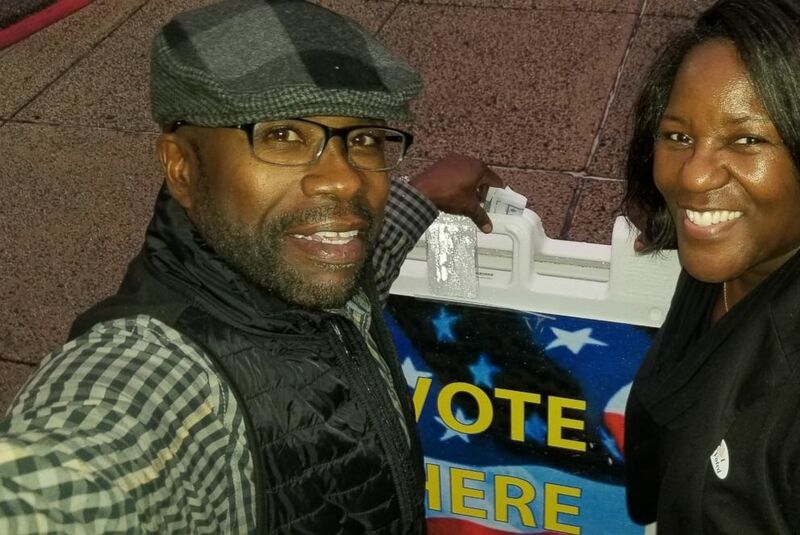 He also had a warning to other kindhearted people like his wife, saying, "You've got to stay vigilant or you're going to be sitting in the same seat I'm sitting in." "I just want justice. That's it," he said. "I just want justice for my wife."